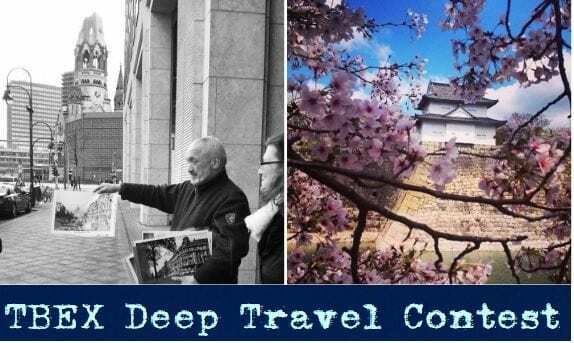 Deep Travel is about going farther, asking better questions, and opening your eyes to the nuance and detail of place. At Context we believe that deeper travels enhance our cherished global citizenship. We’ll be at all three TBEX events in 2015: Europe, Asia, and North America, and as part of our sponsorship participation, we’re running a blogger contest with some exciting rewards. To kick things off, our first competition is linked to TBEX Europe, which takes place in Lloret De Mar on April 29 to May 2. (Check out our PRE- and POST-BEX selection of walks in Barcelona). It could have been a fleeting moment of insight into a new culture you didn’t expect, or days spent finding a new side of yourself within someone else’s definition of a comfort zone. Or, maybe it was the time that you found that perfect source, the local expert who made the place come alive in new, unexpected ways. The blog post need not be freshly written for this contest; if you have something relevant in your archive, feel free to enter with that. As long as it has not been published elsewhere other than your own blog, we’ll accept it as a valid submission. Winners will be judged by our panel of Deep Travelers, including selected members of our staff and docents, as well as sustainable tourism expert Richard Edwards and Audrey Scott of Uncornered Market. Our judges are looking for blog posts that tell a compelling story, feature a unique idea, take an original angle, and express depth of experience. Once you’ve published your article on your blog, share it on Twitter, tag us @contexttravel and include the hashtag #TBEXContext, or simply submit your article via our Facebook entry form. Author Bio: Context is a network of Ph.D-level scholars and other experts living in cultural capitals around the world who are passionate teachers and guide visitors on an experiential journey of these amazing cities. We operate in 25 cities around the world and offer more than 500 tours in Europe, Asia, North and South America. Excited about this contest as this is how I love to travel. Can we enter more than once? What is the deadline for entries?